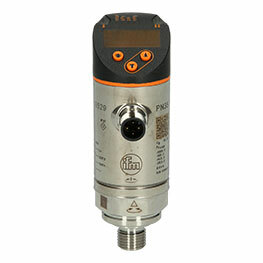 The PG2454 electronic pressure sensor from ifm, with protection rating IP67/IP69K stands out with its hygienic front-flush design, analog display and excellent visibility. The display can be rotated by 350° and has an LED bar graph for pressure switch point indication. 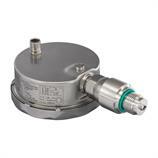 The PG2454 serves as both a pressure switch and as a pressure transducer, with one adjustable positive or negative switching output and one scalable 4-20 mA analog output. 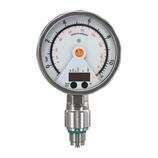 The measuring range is -1-10 bar and is programmable via the optical touch inputs. The 4-digit alphanumeric display as well as the status LEDs help make programming easy and intuitive. The PG2454 electronic pressure transmitter with M12 connector and G 1/2 process connection, is suitable for pressure monitoring and level measurement in the food and pharmaceutical industries.